We are Columbus’ most gentle and complete wildlife service! AAAC Wildlife Removal of Columbus OH is a nuisance wildlife management company. 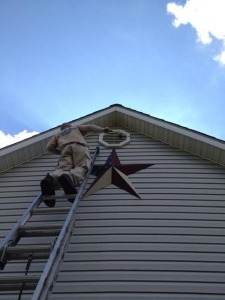 We proudly serve Columbus, Dublin, Grove City, Hilliard, Pickerington, Reynoldsburg, Westerville, and nearby areas. We service the following area in Franklin County Ohio: Lewis Center, Westerville, Worthington, New Albany, Gahanna, Blacklick, Bexley, Reynoldsburg, Pickerington, Canal Winchester, Groveport, Ashville, Grove City, Galloway, West Jefferson, Hilliard, Plain City, Dublin, Upper Arlington. AAAC Wildlife Removal of Columbus Oh has wildlife professionals who will work to eradicate nuisance wildlife from your property: bats, beavers, bears, birds, chipmunks, coyotes, deer, foxes, groundhogs, meadow voles, mice, moles, muskrat, opossums, pigeons, raccoons, rats, rodents, shrews, skunks, snakes, and squirrels, bed bugs. For assistance wildlife control and squirrel removal, raccoon removal, bat removal, groundhog control, opossum control, snake control, skunk removal and more, we’re just a phone call away at 614-502-5846. Wildlife can cause a lot of damage to homes and businesses. Noises in the attic and scratching in the attic from Mice, raccoons, squirrels, rats and other wild animals. Skunks make their homes under porches, crawl spaces, and decks, and dig up flower beds, yards, and gardens. Moles dig and turn yards into eyesores. Bats, raccoons, and other animals in the attic can quickly contaminate it with feces. In addition to the damage caused by wildlife, humans and pets are also susceptible to many diseases that are carried by wild animals or grow in their droppings. Hantavirus, distemper, histoplasmosis, listeriosis, rabies, and leptospirosis are all diseases that can be acquired by living with or coming into contact with wild animals. Call us for elimination of pests from your home and business. We will work quickly and efficiently to eradicate nuisance wildlife, then work to clean up and sanitize the affected area. Our wildlife professionals are also skilled at home repair. 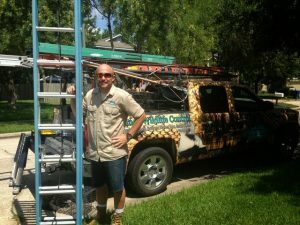 We can repair the damage done to your home or business and install preventative measures, such as, dryer vent covers and chimney caps. Call AAAC Wildlife Removal Columbus Ohio, your local wildlife professionals skilled at nuisance wildlife control and animal removal at 614-502-5846.